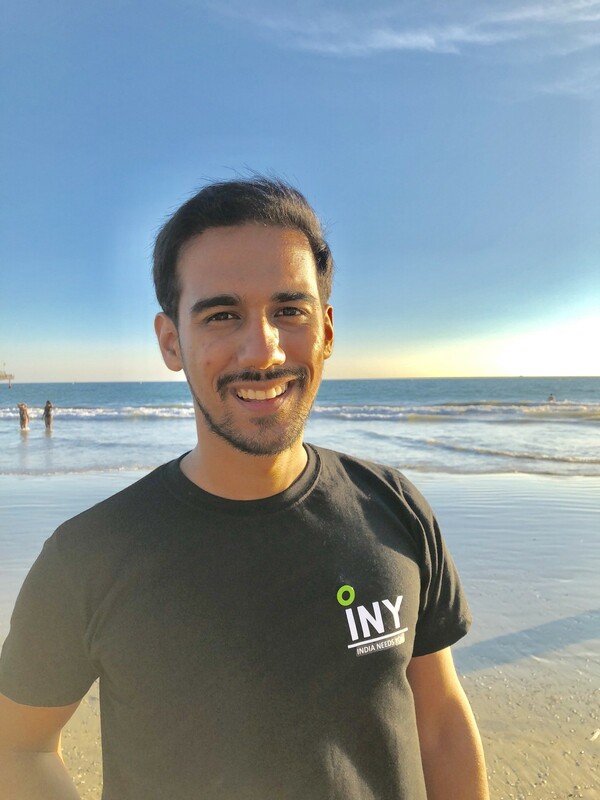 Trained by Nobel Laureate and former United States Vice President Al Gore and team in Los Angeles, I just returned to India as a Climate Reality Leader, fired up and armed with tools to solve the global climate crisis. 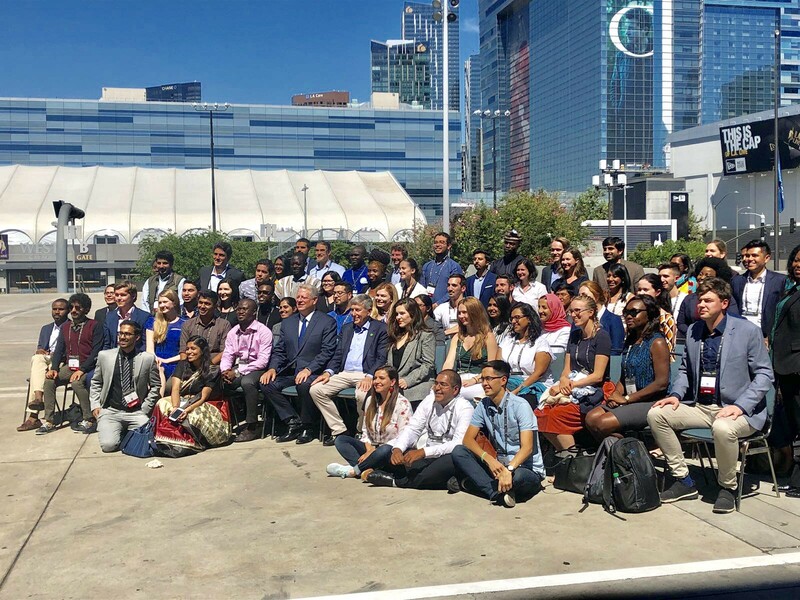 At the Climate Reality Leadership Corps training on “Leading the global fight for Climate Solutions,” individuals ready to make a difference in our planet’s future spend three days working with Al Gore, his team, and other world-renowned scientists and communicators. Through lectures and collaborative breakout sessions, we learned about the climate crisis and how together we can solve it. I am a proud Global Shaper and seventy-five of us represented the Global Shapers Community at the leadership training. 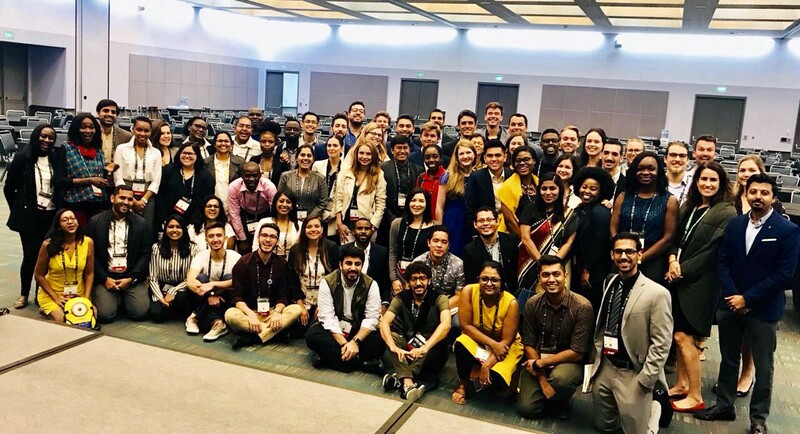 Born out of the World Economic Forum, the Global Shapers Community is a network of inspiring young people under the age of 30 working together to address local, regional and global challenges. 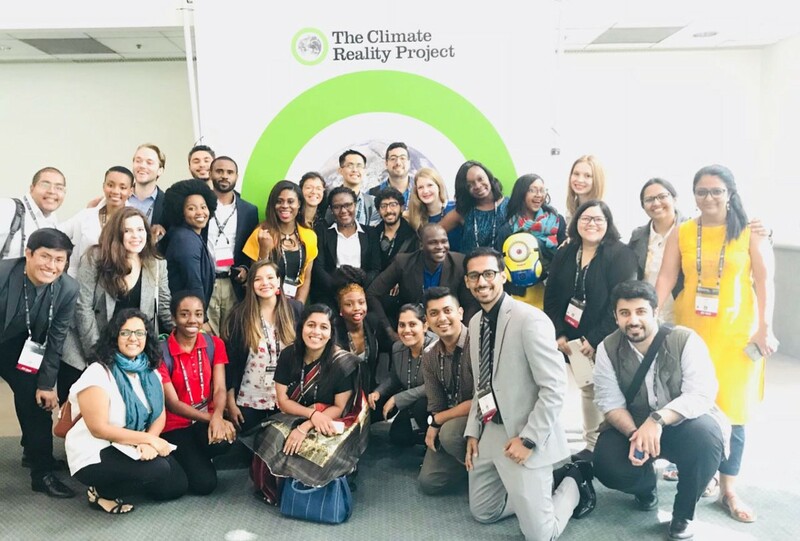 The Climate Reality adventure started with the green venue in which the training took place: the Los Angeles Convention Center or LAAC. The facility itself was an eye-opening example of what can be unleashed when we take action in our respective countries to push our cities towards 100 percent renewable energy. LACC is a LEED gold certified facility(LEED, or Leadership in Energy and Environmental Design, is the most widely used green building rating system in the world), has the largest solar array on a municipal-owned convention center in the US, provides employees with a monthly transit subsidy to encourage public transportation, focuses on reducing overall carbon emissions related to the event, and has a comprehensive waste diversion system including bins for compost, recycling, and landfill throughout the venue. Amazed by the green features of LACC, we seated ourselves at different tables, learned more about the work we were doing individually and in our respective hubs (every Shaper I spoke to was uniquely incredible and inspiring), and got to know our assigned mentors. All mentors had been trained previously and were actively working to improve the earth. The welcome session was followed by Youth Poet Laureate of America Amanda Gorman, who introduced Climate Reality with one of the most eloquent poems I have ever heard. After such thought-provoking sessions, I witnessed culinary delight over lunch. Munching my delicious vegan food — LA style — I was amazed at the networking opportunities to abound at the lunch table. I had a passionate conversation with a fellow leader from Montreal, and we exchanged our work and business cards. He was interested in the leadership movement I run, India Needs You, and offered to partner and launch it in Canada. Having had an accomplished and tasty lunch, I was all set to learn from the big presentation from Al Gore about “Climate Crisis and its Solutions”. He lucidly explained the challenges facing the climate movement, including but not limited to: the U.S. cabinet stacked with friends of fossil fuels, the proposed U.S. withdrawal from the Paris Agreement, and the attempted rollback of the Clean Power Plan and vehicle emission standards. Providing the basic science behind the crisis, he equipped us to inspire others to join us in pushing policymakers to leave dirty fossil fuels behind and seize the potential of clean energy to power our lives safely and sustainably. With temperatures rising, and pollution increasing, we know WE MUST CHANGE. With clean energy technologies (I became familiar with many of them during the conference) that are already creating jobs and powering a thriving economy, we know WE CAN CHANGE. With more and more folks joining the fight against climate crisis, we know WE WILL CHANGE. Hence, my title. 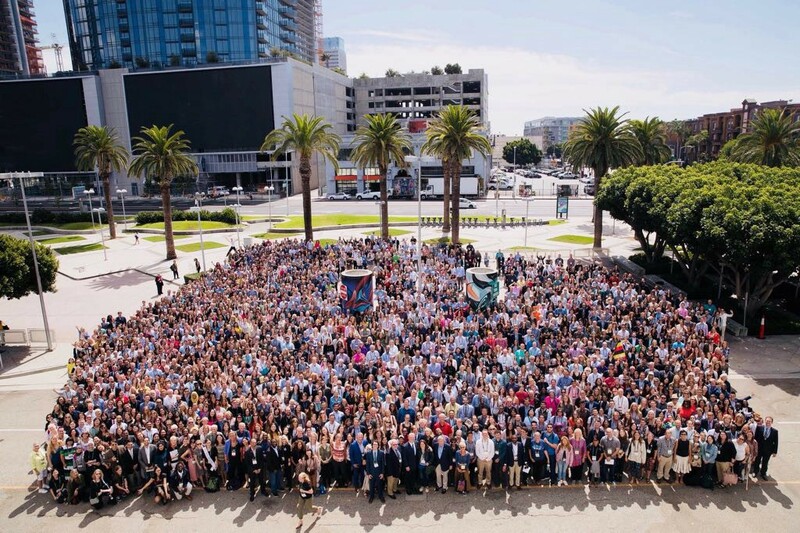 More than 2000 leaders from 45 countries committed themselves to solve the climate crisis in this training alone( There are more than 17k Climate Leaders now). I am very proud to have represented India and the Global Shapers Community at the conference. After a long first day, a cultural soiree was happily welcomed. The remarkable Climate Reality team managed to arrange a Shapers Happy Hour in which we danced and engaged in conversations on how to consolidate our learnings back to our hubs and countries and drive change in our local communities. The day ended at 10 pm; it was overwhelming but exciting. The company of Shapers is so loving — no matter how tired you are, you will always feel fresh. The next morning, I woke up super excited for day two. I had a heavy breakfast as I knew day two was going to be as jam-packed as day one. I rushed for the interaction the incredible Climate Reality team had arranged with a World Economic Forum Young Global Leader. All of us Shapers brainstormed in groups and came up with suggestions to tackle the Climate Crisis. We implemented lot of our suggestions immediately. (The pro-activeness of Shapers and Climate Leaders is just phenomenal). The highlight of the day was the session on “Inspiring Global Action through Local Leadership,” by Mayor Eric Garcetti, mayor of Los Angeles. 1. Learn more about the issue you are trying to solve. 2. Be specific when talking to your audience. 3. Be flexible: Get victories and keep going. 4. Be inclusive: make big coalitions. This personally resonates with me and with the World Economic Forum’s definition of the 4th Industrial Revolution (fusion of technologies blurring the lines between the physical, digital, and biological spheres), where the environment is also going to play a huge part. Other charming vignettes of the day included breakout sessions on Communicating Climate Change, Fighting for Healthy Communities, and How to take Action and Create Change. Having already witnessed so much adventure on day two, there was even more in store. That night, we had a beautiful live performance by The Rua(a wonderful family pop rock band from England), amidst networking over drinks and food. The diversity of fellow leaders continued to amaze me as I received sightseeing suggestions from some local Shapers. Over the second day, I arranged a few 1:1 meetings to scale INY(India Needs You), the leadership movement I run. To date, we have reached 20k folks by hosting impact convenings in the spaces of law, entrepreneurship, and public policy. 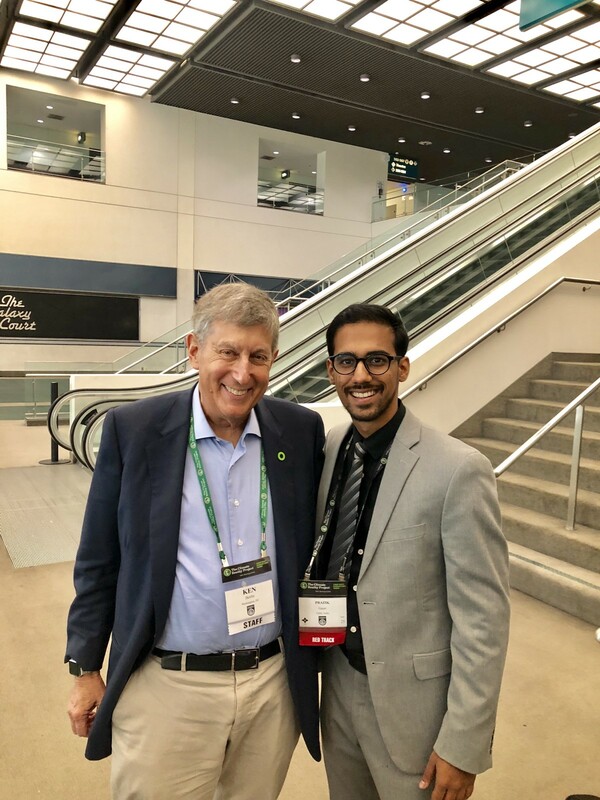 I was honored to meet Ken Berlin, CEO of The Climate Reality Project, and told him about my plan to host Climate Convenings in 2019 under the ambit of INY to tackle the Climate Crisis. He loved my idea and we discussed the prospects of The Climate Reality Project — INY partnership with an aim to solve the climate crisis in India. After getting good night’s sleep, I woke up early and fresh, ready to roll for day three. All of us gathered in the LACC for the last day of the training. Once again, Al Gore presented the entire deck he presented on the first day in 10 minutes (Yes, 3 hour presentation compressed to 10 minutes). The compressed presentation was powerful, and it gave us the material we needed to present to our family, neighbors, friends, and peers about the Climate Crisis and Solutions in a very short amount of time. This was undoubtedly one of the best ten minute presentations I’ve ever seen and heard. This session was followed by a panel moderated by Al Gore on “Climate Change on Camera”, where Alan Horn, chairman of Walt Disney Studios, along with producers, directors, and television hosts discussed the best ways to portray climate change on screen and how film and television can spread the message of a sustainable future. The training came to a close with a moment all of us Global Shapers and Climate Leaders were excited about — The Green Ring presentation! We received green rings from our wonderful mentors as symbols to our commitment to help spread the reality of the climate crisis. We pinned our rings to our shirts and pledged that together, We Will Change the World. PS : Sporting my green ring and INY tee shirt, I write this as we all split and make our way back to our daily lives with a promise to change the world.